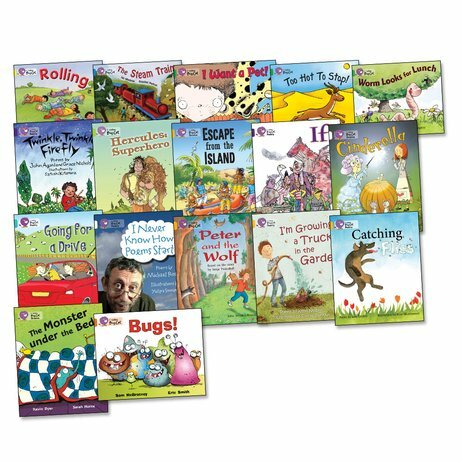 Build your reading with rhymes! From the award-winning Big Cat series, this bumper pack contains 17 fantastic poetry books to make you giggle and stretch your imagination. A surefire way to give your English skills a boost while having loads of creative fun. It’s a mix of rhyming stories and poetry collections featuring top poets such as Michael Rosen, Julia Donaldson, Grace Nichols and John Agard. All brilliantly illustrated in full colour. Read them as loud as you can! Big Cat Readers: I Want a Pet! Big Cat Readers: Too Hot to Stop!